Celebrate this Columbus Day weekend at Intertops Poker and Juicy Stakes Casino. On Monday the casinos will boost all your Blackjack wins by 10%. Then next weekend (October 11-14) they'll give you 35% Instant Cashback if you bust a deposit playing slots. 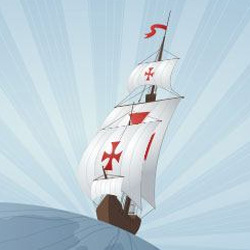 On Columbus Day, Monday, October 8th, the casinos will add an extra 10% to all Blackjack wins. You can qualify for your Blackjack bonus by playing any of the three Blackjack games under the Lucktap tab in the poker rooms. Next weekend during Cashback Weekend, October 11 – 14, anyone that plays slots under the Betsoft or Worldmatch tabs without a win can get 35% of their last deposit refunded. You'll have until the following Wednesday to request instant cash back. You can contact Support via live chat, email or telephone to do so. Up to $250 Cashback is instantly credited to your account. Intertops Poker and Juicy Stakes are known around the world for their busy online poker rooms. They also have slots and other casino games including video poker, Blackjack, Roulette, Baccarat and Craps. Further information on this weekend's 35% Instant Cashback offer is available at Intertops Poker https://poker.intertops.eu/en/promo/390-slots-cashback and at Juicy Stakes at https://www.juicystakes.eu/promotions/cspromotions/slots-cashback.